Mathematics is vital for an understanding of computer graphics This volume helps the reader gain such an understanding by presenting all introductory and most advanced topics in the field of computer graphics with mathematical descriptions and derivations. Offering a balance of theory, applications, and code, the underlying numerical methods and algorithms are derived and a large number of examples are given. The book begins with a discussion of basic graphics tools such as vectors, matrices, and quaternions, and then builds up to more advanced topics such as intersecting three-dimensional objects. Both classical and newer topics, such as parameterization, wavelets, fractals, and geometry images, are covered. 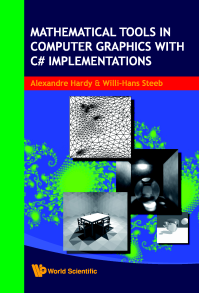 In particular, the book contains all of the classes in C# necessary for computer graphics, providing a full explanation of the C# code and C# implementations for almost all algorithms.